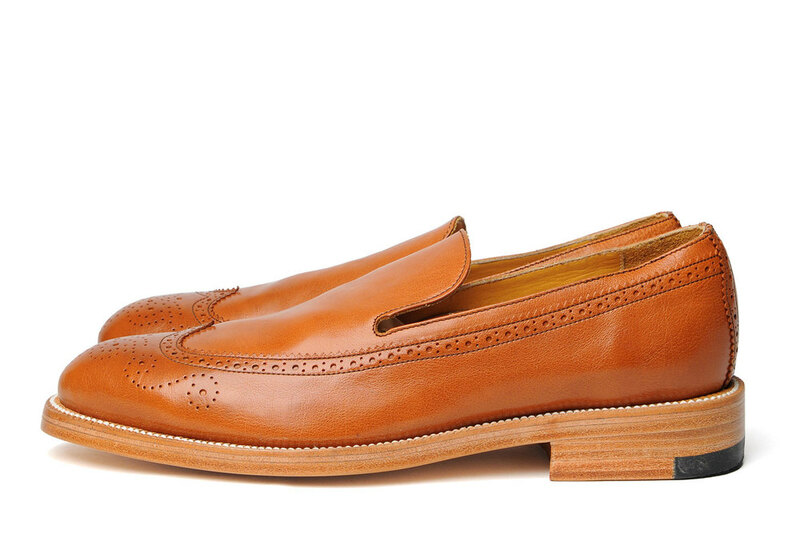 A truly traditional dress shoe presented in a loafer silhouette, our Wingtip Slip-on is the perfect warm-weather leather-soled shoe. Each shoe is benchmade in Mexico from handcut pieces of vegetable-tanned, full-grain bovine leather using semi-modified 1930’s American lasts. 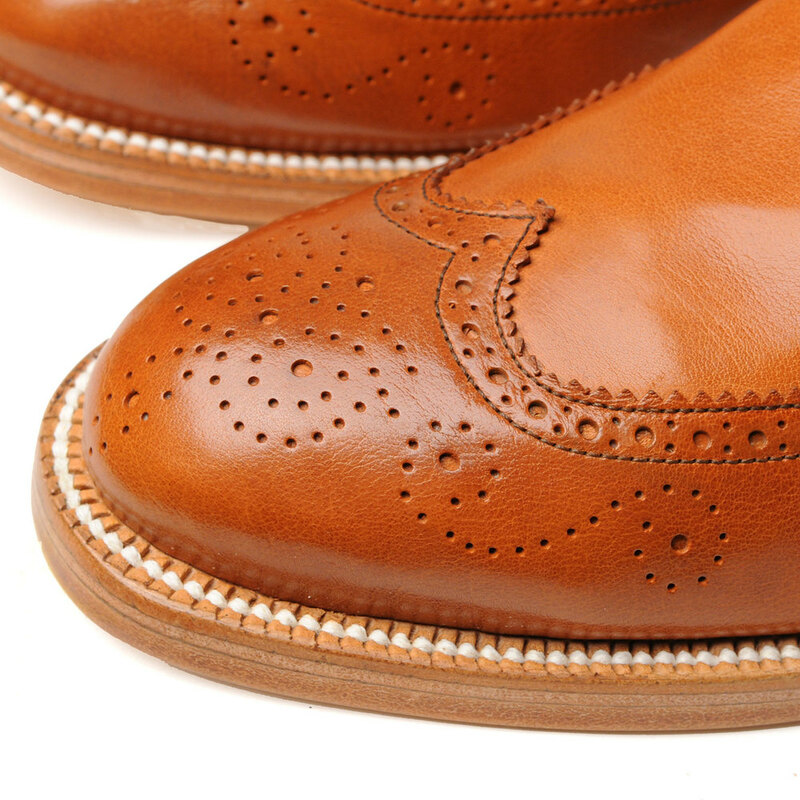 A 100% vegetable-tanned leather outsole is then Goodyear-stitched to the shoe's midsole using a 1910 German-made welt stitcher, each stitch being both hand-notched on the welt and sealed on the bottom of the outsole to eliminate thread breakage. Finally, a hand-crafted, leather heel is attached using nails carved from lemon trees. This soft, absorbent wood will expand when met by streets slicked with spring rain, tightly securing the heel to the shoe. True to its name, the vamp is overlayed with extensive hand pinking and hand perforation. Full-leather insoles, natural cork filler for cushioning, and steel shank reinforcements increase fitting in the arch and heel as well as lessen foot fatigue by forming a stable bridge between the heel and ball of the individual owner's foot. Each insole has been hand-molded and hand-shaved in Mexico from 100% vegetable-tanned leather leaving a double-channel leather rib, an insignia of quality and rare detail seldom found in footwear today. Effectively charming in appearance and functionality, our Wingtip Slip-on is built to impress the wearer and those surrounding him.